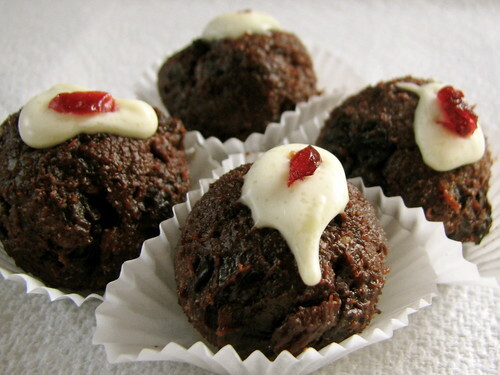 My wonderful Mum made them my combining a broken up Christmas pudding with dark chocolate, rolling it into balls then topping with white chocolate and cherry. Quite indescribably good. Hope you’re having fun. See you in 2009.